Because there can never be too many cushions or too many cushion covers in a home. 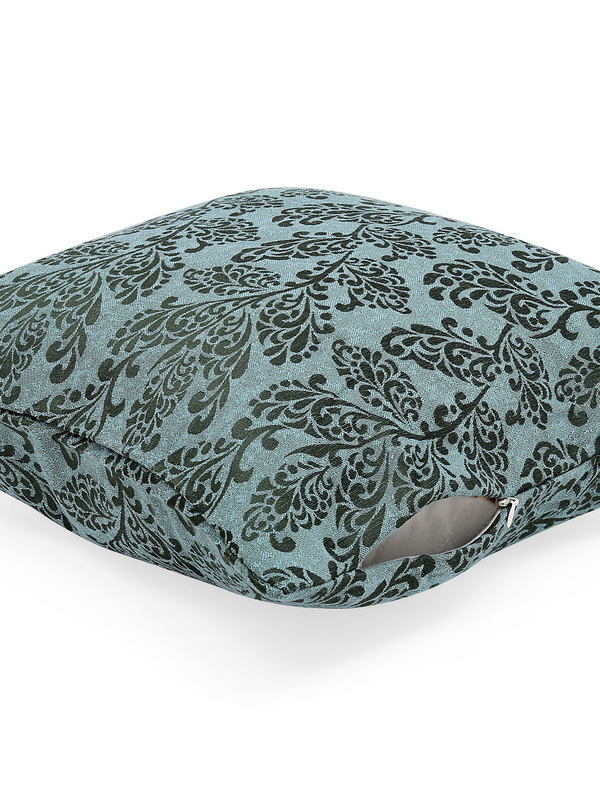 These pretty emerald cushion covers can instantly enhance the look and feel of your home interiors. With a hidden zipper closure, it is easy to remove and wash. Nature-inspired creeper designs envelopes the emerald background all over the front and the back. This set of two cushion covers can complement décor styles of all kinds- modern and contemporary.